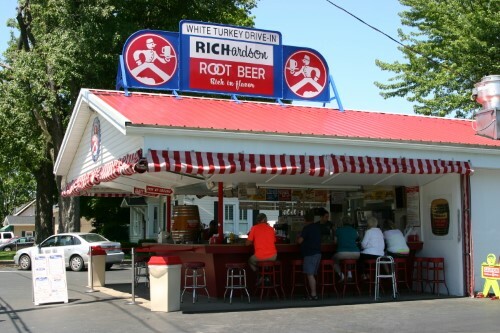 ﻿ White Turkey Drive-In - Ohio. Find It Here. An original 50's Root Beer stand with open-air counter seating and juke boxes playing. 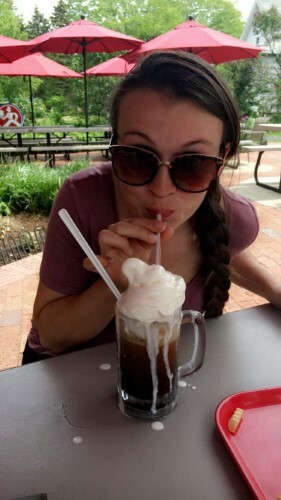 Stop for their famous White Turkey sandwich and frosty Richardson Root Beer float! "If it ain't broke, don't fix it." This quote was the motto of founder, Eddie Tuttle, who believed that his restaurant could stand the test of time through hard work and high quality. He never saw the need to franchise or increase the size of his menu. He was proud of his "little restaurant" and the opportunities it would bring his family. For this reason, the family has continued to work to maintain high quality while still preserving their history.